Confused? 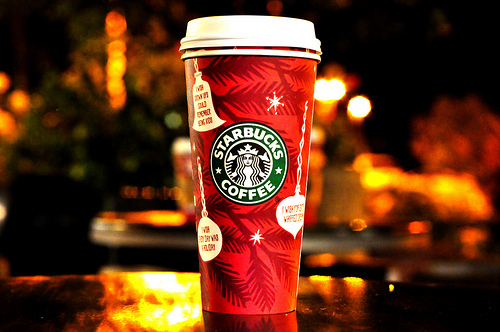 I was too until I finally googled why the hell I keep seeing fury flung at Starbucks over Red Cups. Are you ready, internet? Are you ready to see what death incarnate looks like? This is your final warning. Image not suitable for those with a fake persecution complex. I’m sorry you had to see that. When your pulse settles down, if it ever does, please continue reading on. 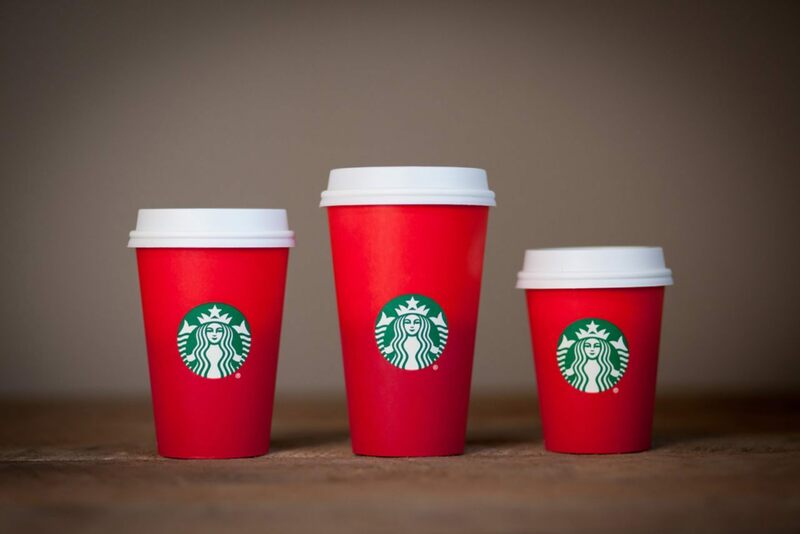 Those red cups have apparently sent a portion of mainstream Christianity into a frenzy. Why? I couldn’t figure it out either, but apparently it’s because the cups used to look like this. There is no “War on Christmas” as you’re still able to tell loved ones, family, strangers and even people of other faiths “Merry Christmas!” You’re still able to put up Christmas trees. You’re still able to put out a manger scene in your yard. You’re still allowed to max out your credit cards in the good name of Jesus’ birthday. Nobody has or will ever take those things from you. What you’re suffering from is a fake persecution complex because you’re used to having things your way. 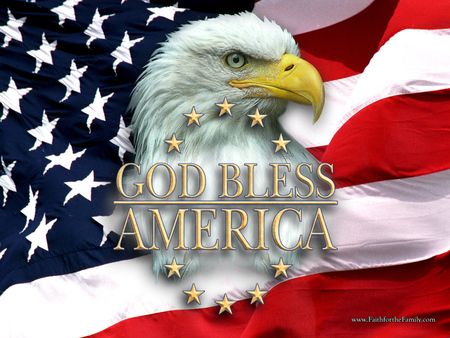 I don’t even believe in a god and I just put a “God Bless America” picture on my blog! What?! I can do that and not be thrown in jail?! Yeah, America! My point is that you’re not being persecuted. What’s happening is that companies are doing the right thing by trying to be more inclusive to all potential or current customers. If nothing else, it’s good business to not make people with money feel excluded or not wanted. Years ago I used to work at Chase Bank and one year my manager decided to not put up a Christmas tree and I was stunned at the response. Just love that spreading of Jesus’ love around the holidays. I feel like I could talk for days about the mindset in general or this type of persecution complex and just riddle it endlessly for jokes about how completely unvalidated it is. You’re not being persecuted. End of story. So, feel free to say “Merry Christmas” as much as you want to whoever you want and if they reply with a “Merry Christmas” back, then you two can exchange knowing glances of solidarity in the persecution. You can walk away feeling like all hope is not lost. That that person is a “good” person because they too love Jesus and will praise his glory by buying material possessions in remembrance of a man that hated material possessions. Then you can walk around a little taller in your superiority of being “right” and “good” and “loving” just like Jesus. This entry was posted in Atheism, Christianity and tagged birth, Christmas, controversy, family, inclusion, Jesus, love, red, red cup, Starbucks, tradition, War on Christmas. Happy Holidays by Nate Pratt. Bookmark the permalink. One bearded Fundie went on FaceBook to advocate that when we order coffee, and they ask our name so they can write it on the cup to make sure the right blend goes to the right customer, that we should say our name is “Merry Christmas,” in order to force the burrista to write Merry Christmas on the Starbucks cup. I would love to counter his little video with one of my own, suggesting the burrista write, “Mary Crismus” on the cup, then when delivering it, loudly call out, “Mary Crismus?” then when he raises his hand, ask, “Are you Mary?” forcing him to say ‘yes’ in front of the entire crowd. Bet he wouldn’t do it twice. I saw that video as well and wow, that guy is nuts.